What can I say…. Theo offers a white-hot foursome for the ages! Bishop is a new author for me and can I say, what a delightful surprise. 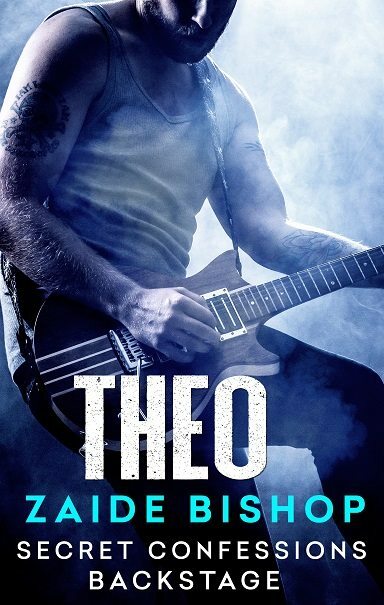 The story itself was fast-paced with heavy sexual overtones as per the previous stories in the series but Theo offered something extra—the exploration of the friendship of three mates moving into the unknown territory of lovers. There is of course one woman in the mix (hence the foursome I mentioned), Andi who also provides a HFN for Theo. There is a surprising amount of depth to this storyline given the short length of the story that leads me to think Sawyer and Rei’s story may be one worth mentioning in a stand-alone read.